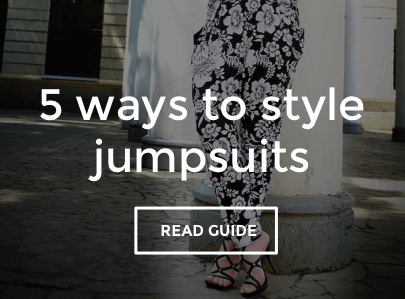 Mix up your workwear wardrobe with a tailored jumpsuit for serious style points. The onesie has had a makeover, with playsuits offering a fair weather alternative. Keep colours simple for work but embrace prints and stripes when you want your party playsuit to make an impact. Complete the look with a pair of strappy high heels.